From Monday 13th February – Friday 10th March we will be running a series of free events and activities to raise awareness of sustainability issues and engage with the University community. You can find details below of the activities planned so far and there will be further events announced soon. If you would like any more information please contact Neva Mowl or Bec Bennett. Meat-free Monday – Tweet UoS_Sustain a photo of your #meatfreemonday lunch or dinner and you could win a prize! Travel Tuesday – Tweet UoS_Sustain a photo of your green journey to or from work and you could win a prize! 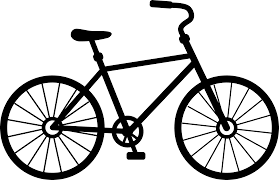 8-10 am, Clifford Whitworth Bike shelter – Free Dr Bike maintenance by TfGM and bike security marking by the police. 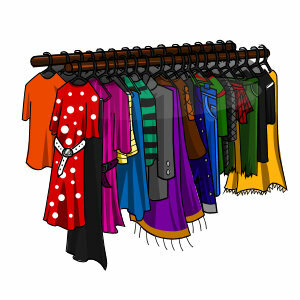 Bring along your unwanted but good quality clothing and accessories and swap them for other people’s old gems. 11-12:30 Drop off your clean, useable, good quality clothes and accessories at the SU Activities Space (downstairs). We will give you a token for each item you bring. 1-3pm Bring your tokens back to the Activities Space and browse the rails. One token = one new item. No electronics, books, DVDs etc. please. Throwback Thursday – we will be looking back at our previous sustainability work, keep an eye on twitter for videos and photos. Feel good Friday – Tweet UoS_Sustain a photo of your sustainable #Randomactofkindness and you could win a prize! 2-3pm, New Adelphi – Green Impact Afternoon Tea – registration has now closed but do get in touch if you would like to know more about Green Impact. 1pm, Maxwell Foyer – Lunchtime Walk, drop-in. TfGM have organised a free walking event with a Lunchtime Led Walk, to encourage us to spring into action and stretch our legs. The 30 minute circular led walk will be led by a local walking guide and will have a nature theme. Travel advisors will also be present, providing information and free goodies for those interested in walking. Meet at Maxwell Foyer at 1pm; they will also be handing out travel plans from 12:30. 5-9pm, Atmosphere café – Blackout – Join the campus ‘Blackout’ and help us see how much energy we can save, and get free dinner and a drink! We will be running a major audit and switch-off event across the University as part of the National Union of Students’ Blackout campaign – and you can be involved! Students and staff will gather at Atmosphere Café in University House at 5pm on Friday 10th March before splitting into teams and heading to their allocated buildings. Teams will audit all non-essential equipment that has been left on before the weekend, turn off selected equipment and leave reminders for equipment left on. We will then compare energy usage during the ‘Blackout’ with energy usage on a comparable weekend. The primary goal of Blackout is to highlight and reduce our energy usage and it is also an opportunity to bring together students and staff – from across departments and disciplines – to deliver something positive for the University. After the audit all volunteers will receive a free dinner and drink. If you are interested in volunteering then sign-up by Tuesday 28th February, or email Neva Mowl if you have any questions.